The hoar frost a few days ago was met by ice fog in the morning. I was along a gravel road when I first saw a soft outline in a field. A little further along I found several cows around a swampy pond. 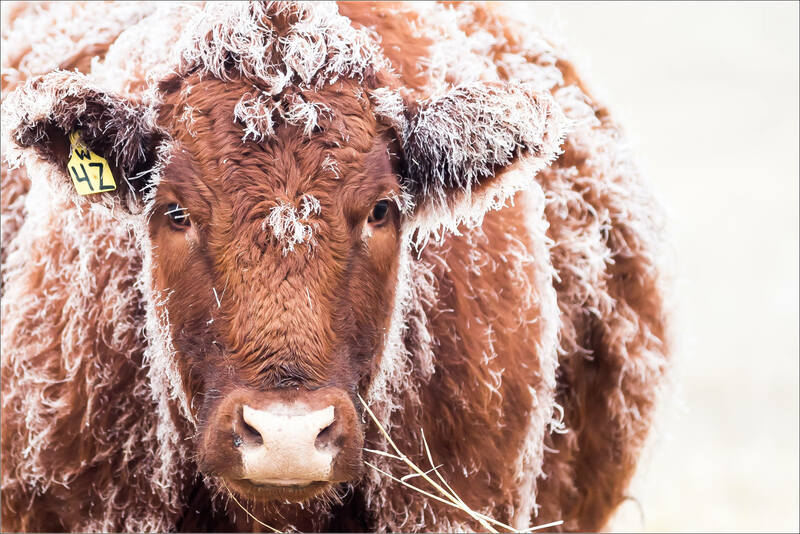 The cow above was close to the fence line and I was able to make a nice portrait with ice clinging to the hide. This entry was posted on February 20, 2016 by Christopher Martin. 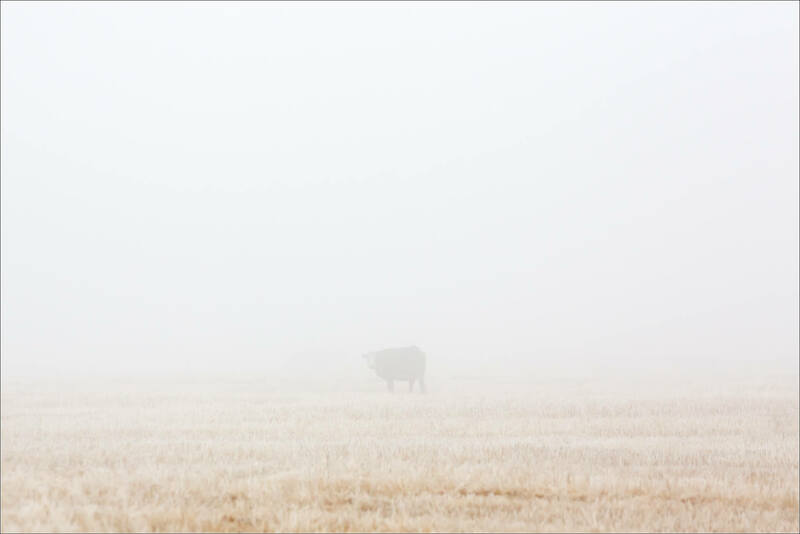 It was filed under Alberta, Animals, Winter and was tagged with alberta, Canada, cow, face, farm, fog, hoar frost, prairie. Reblogged this on Melkveebedrijf Stelling. That face is absolutely precious! Aww – poor cow. But great shot and story! Brrr- I have seen that on my horse. It is cool.